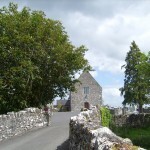 While the Darcy family was established and rose to prominence in the late medieval period in the town of Galway, a branch of the family came to be established at Kiltullagh in the half-barony of Athenry by the seventeenth century. 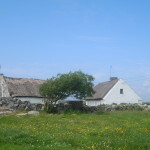 Members of this branch were dispossessed of part of their estates in the Cromwellian period but retained possession of lands both in the east of County Galway and in Connemara later in the same century following the restoration of the monarchy. 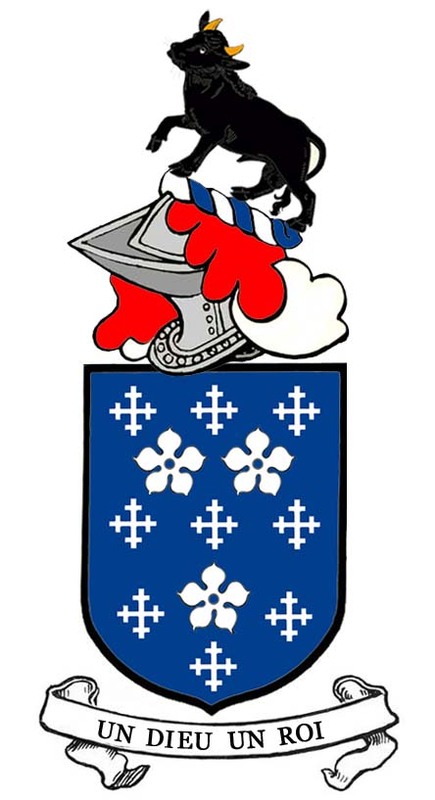 The arms borne by D’Arcy of Kiltullagh and Clifden Castle reflect those of the D’Arcys of Platten in County Meath, a family of Anglo-Norman origin, examples of whose arms occur at an early stage in the records of the Ulster King of Arms. 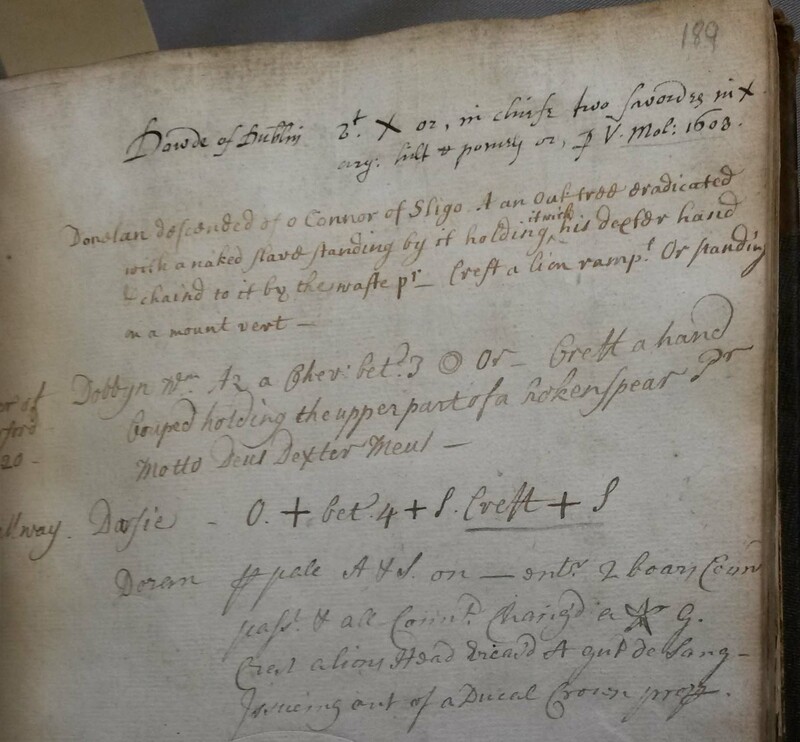 One of the earliest recorded in Ulster’s Office occurs in the Funeral Entry of Jane, daughter of Christopher Darcie of Platten and widow of Walter Birte of Tullocke. Jane Birte alias Darcie died in August of 1609 and the armorial bearings given in her contemporary Funeral Entry consisted of an impaled shield, with that of Birte on the dexter half and that of Darcie of Platten on the sinister. 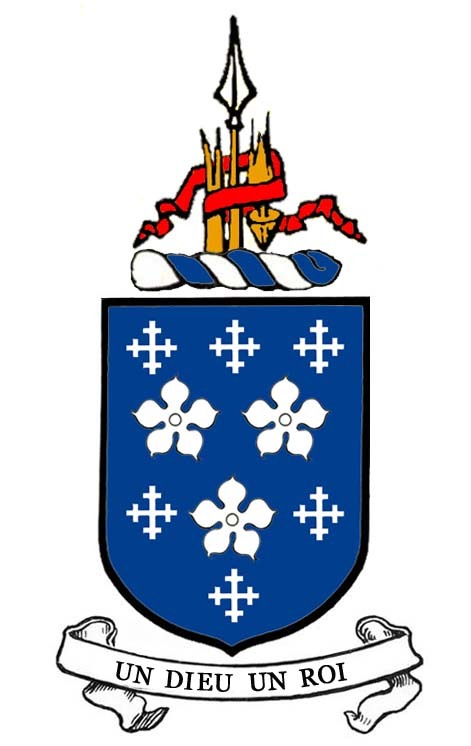 The arms of the family of Platten was shown as a shield ‘Azure semée of cross crosslets and three cinquefoils pierced at the centre Argent.’[ii] However, while certain members of the Kiltullagh family claimed a common descent with those of Platten in the eighteenth century, this origin was disputed by the Irish antiquary John O Donovan as early as the 1830s. 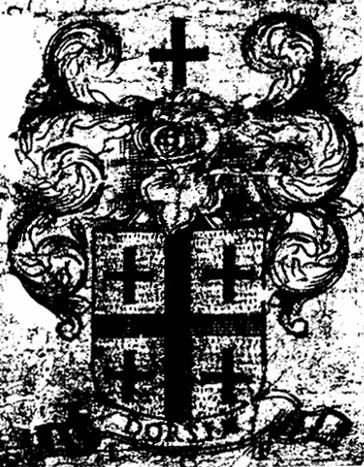 The impaled arms of Walter Birte of Tullocke, after those shown in the Funeral Entry dated 1609 of his widow Jane daughter of Christopher Darcie of Platten, giving the arms of Birte in the dexter half and those of Darcie or Darcy of Platten in the sinister. The arms of D’Arcy of Platten from an early nineteenth century pedigree of that family given in G.O. Ms. 168 with a different crest to that given by Burke for D’Arcy of Kiltullagh House and Clifden Castle in his 1836 ‘Genealogical and Historical history of the Commoners of Great Britain and Ireland.’ © National Library of Ireland. MacFirbisigh’s genealogy ascribed a Gaelic origin to the Darcys of Galway and, as O Dorchaidhe (Anglicised as ‘O Dorsey’), were chieftains of an area about Partry in what would later be known as County Mayo. In his ‘Genealogies, Tribes and Customs of Hy-Fiachrach,’ MacFirbisigh recorded that the Darcy family who had by the sixteenth century come to prominence in the town of Galway was descended of these Gaelic O Dorceys. 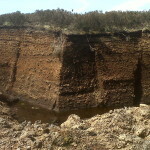 It was the view of the historian Martin J. Blake, writing in his ‘Blake Family Records 1600-1700,’ that Walter riabhach O Dorchaidhe, whom MacFirbisigh’s contemporaries gave as the first to establish the family in Galway, may have settled in the town of Galway sometime in the early to mid fifteenth century. The family at some point dropped the ‘O’ in their surname and Blake noted that original form of the family name in the old Corporation Book of Galway was ‘Dorsey’, which he remarked ‘would accurately represent the pronunciation of the Irish word Dorchaidhe.’ One of the most prominent early members of this particular branch was James Riaveagh Dorsey, given by MacFirbisigh as ‘son of Nicholas, son of Conor, son of Patrick son of Thomas’ son of that same Walter riaveagh O Dorchaidhe. At an early stage, after settling at Galway, the family is believed to have become heirs to an established family of the town, the Develyns, and over time various members of the Dorseys or Darcys attained high office in the town. It was James riaveagh Darcy, Bailiff of Galway from 1578 to 1579 and Mayor for the term 1602 to 1603, who is said to have been the first of the family to have achieved significant prominence in the public life of the town, five generations after the first settled there. 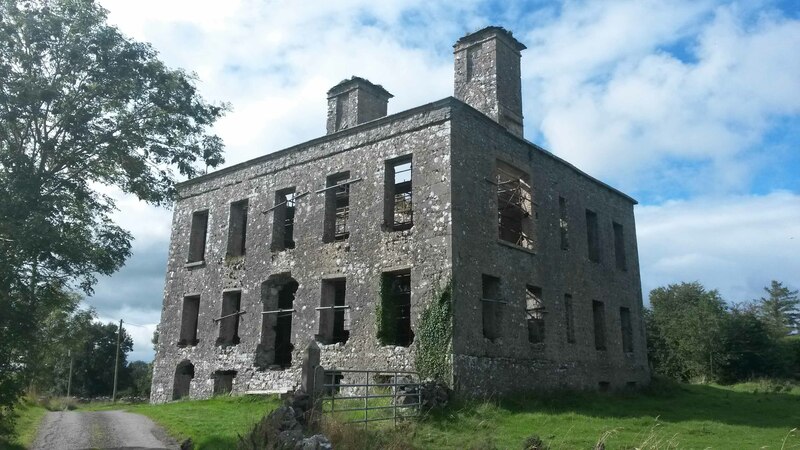 The ruins of Kiltullagh House in the parish of Kiltullagh, east of the town of Atherny, in 2015. Like O Donovan, M.J. Blake disagreed with what he regarded as the fabricated Anglo-Norman pedigree later given to the Darcys of County Galway. As MacFirbisigh compiled his pedigree about forty years after the death of this James riaveagh Dorsey or Darcy, Martin J. Blake was of the view that MacFirbisigh’s pedigree was ‘most probably’ correct (or at least more correct) than that claimed in the eighteenth century by a member of the Darcy family of Galway. 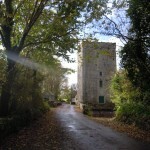 That particular Darcy claimed that the family were descended from the Anglo-Norman family of D’Arcy of Platten. His claimed pedigree was then registered in the office of the Ulster King of Arms and on the basis of this pedigree, Blake contended, they were ascribed and adopted the arms of that same family of Platten. The pedigree of Darcy of Galway in Ulster’s office to which M. J. Blake referred appears to have been given by John Hawkins Ulster King of Arms in 1752. In that pedigree the early fourteenth century Anglo-Norman, Sir John D’Arcy of Knayth, Chief Justice of Ireland in 1323, from whom the family of Platten, County Meath was said to derive was also given as the ancestor of the family of Galway city and that family’s descendant branches of Kiltullagh (or ‘Kiltolla’), County Galway, of Gorteen, County Mayo and of Paris, France. [x] The same pedigree thereby ascribed the same ‘Great Arms’ of Platten to those of Galway and Kiltullagh. The 1752 pedigree prepared by Hawkins Ulster was entitled ‘the Genealogy of Patrick Darcy of Paris’ and was undertaken for the benefit of Patrick Darcy, who was born in 1725, the third son of John Darcy of Kiltullagh and his wife Joan Lynch. Patrick Darcy was sent to France at a young age, where he studied and excelled to the extent that his ability in the scientific world was recognised publicly by the age of seventeen. 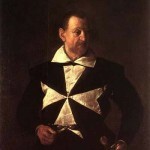 In addition to his rise to prominence as a scientist, he also advanced in his career in the French army. He served as a captain in the cavalry regiment of Condé, campaigning in Flanders and Germany and, as an ardent Jacobite, was appointed in 1746 to command troops sent to Scotland to assist the Stuart Pretender. His mission failed when he was captured on board his ship and imprisoned for a short time before being released. Subsequently, both he and the Comte d’Herouville undertook a survey of the Irish coast in preparation for a possible subsequent invasion which never transpired. 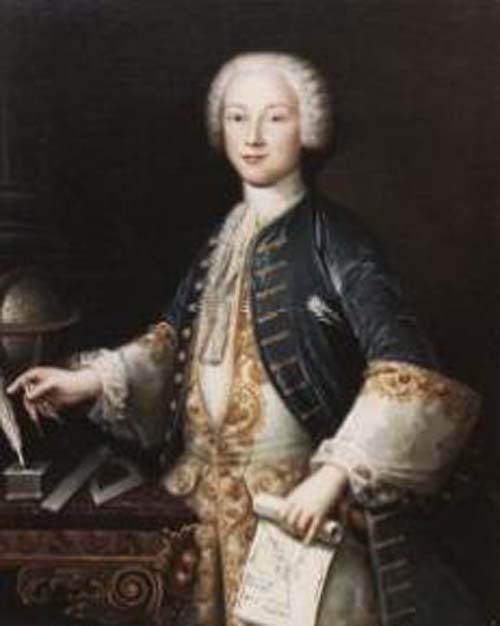 Patrick Darcy or Patrice d’Arcy of Paris, as a young man of letters aged about seventeen years, from a portrait believed to have been painted circa 1742. Three years after Hawkins Ulster produced his pedigree, a comprehensive pedigree was produced for his benefit at the College of Arms in London. This 1755 pedigree again showed the common ancestor of the Galway Darcys and the Darcys of Platten as John D’Arcy of Knayth and expanded upon the descent of Robert d’Arcy, the then Earl of Holderness as the senior-most representative in England of the descendants of the same John D’Arcy of Knayth. The inclusion of an English peer in his pedigree further elevated Patrick Darcy’s claim to noble status and descent and this 1755 combined pedigree of Holderness and ‘Patrice d’Arcy’ was certified by Charles Townley, Clarenceux and certified and accepted by the Earl of Holderness, whose signature was verified by the French Ambassador to England. 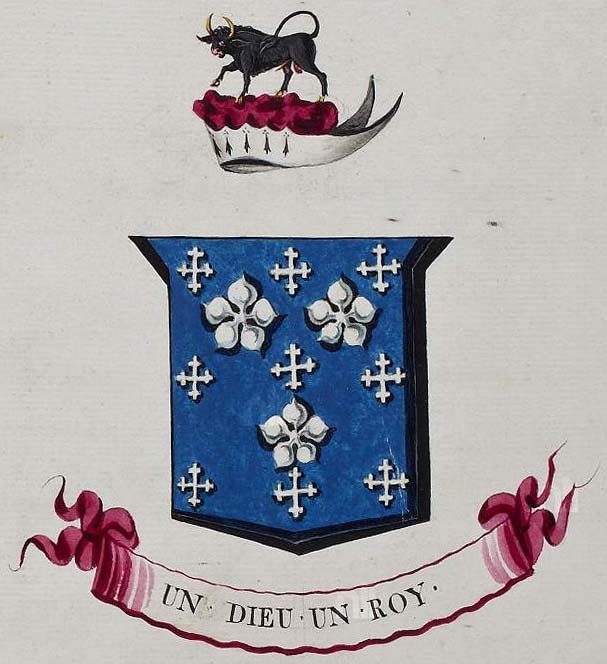 The pedigree was described as ‘for the profit of the Chevalier Patrice d’Arcy, mestre de camp reformé du regiment de Fitzjames et de l’Academie Royale des Sciences á Paris, who therein sets forth the services of his ancestors and asks for Naturalisation.’ He was serving as a colonel in FitzJames Regiment in 1756, in February of which year his grant of naturalization, signed by the king, was registered in Paris. He was promoted to the rank of brigadier at the battle of Rosbach in 1757 and in December of that year his naturalization was registered again by Parlement. James Hyacinthe Darcy, born in 1717, a near contemporary and kinsman of Patrick d’Arcy, was already a native of France, being the son of Thomas, born in France about 1671, the son of Antoine Darcy who was established in St. Malo, son of Francois Darcy, who was born in Ireland and was either son of that James riaveagh Darcy who died in 1603 or son of James riaveagh’s son Anthony. James Hyacinthe’s father Thomas obtained permission in June 1714 from the French King to travel to Ireland to establish his claim to noble descent and thereby seek further advancement in French society. Civil unrest and other factors prevented him for realizing his aims at that time and he was obliged to compile a genealogy of his family in October of that year with two public notaries testifying to the authenticity of several Irish peers and gentlemen ‘who all signed, many his relatives and allies who recognized his blood, name and arms.’[xi] No record, however, survives of the pedigree or arms claimed by him at that time. Despite Hawkins Ulster mid-eighteenth century pedigree, it is evident from both early seventeenth and early eighteenth century records formerly maintained in the office of the Ulster King of Arms that the Darcys of Galway, from whom Patrick Darcy of Paris descended, originally bore arms different from those of the family of Platten, a fact which lends further credence to MacFirbisigh’s genealogy of the Galway family. Arms of Martin Darcy of Galway, who died in prison in Dublin in 1636, after those given in his Funeral Entry in the records of what was formerly the office of the Ulster King of Arms. 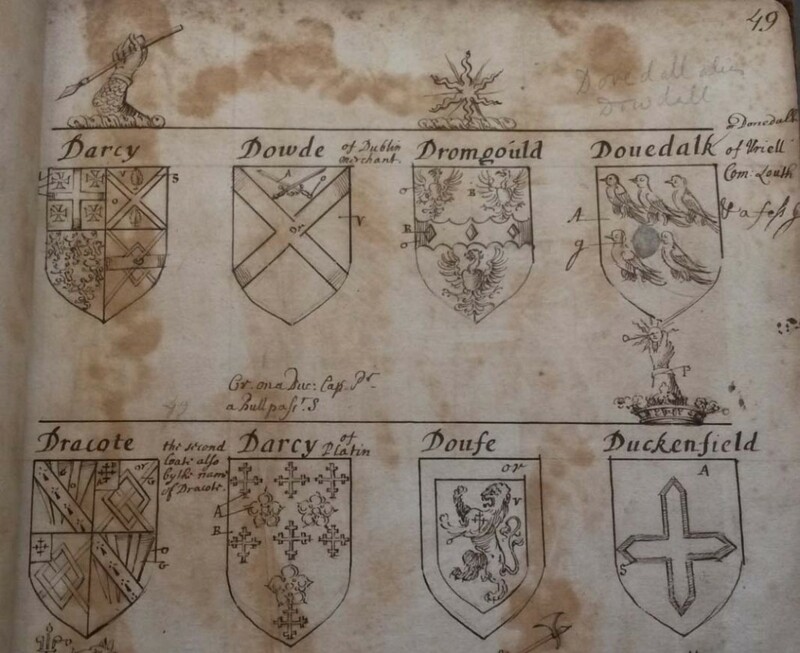 In addition to Martin Darcy’s Funeral Entry, early eighteenth century armorial records in the office of Ulster King of Arms give different arms for Darcy of Galway to those of Platten. A compilation of arms from Ulster’s Office dating from between 1706 and about 1730, known later as Genealogical Office Manuscript (ie. G.O. Ms.) no. 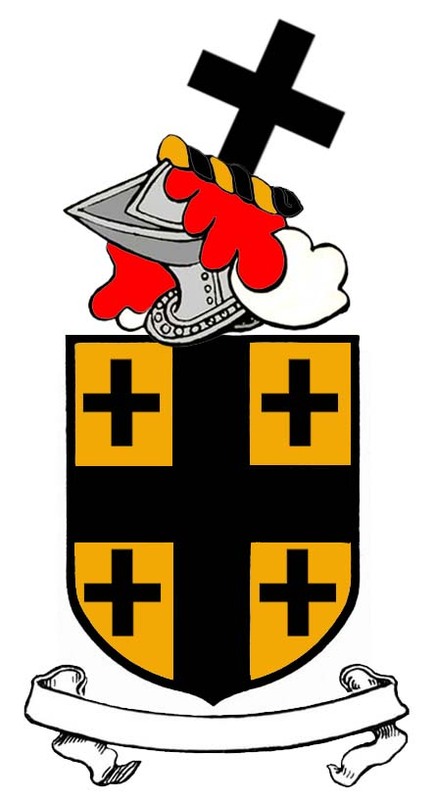 82, displayed three different arms associated with armigers of the surname Darcy. 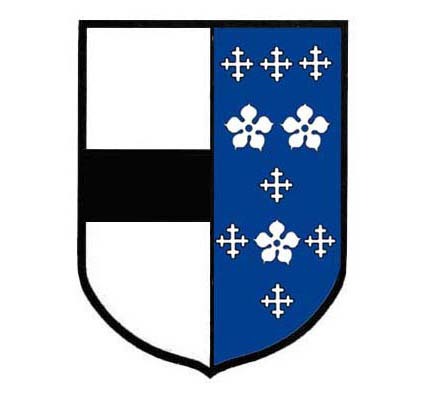 One was given as that of ‘Darcy of Platin’ and comprised a shield ‘Azure semée of cross crosslets and three cinquefoils Argent.’ Another comprised a shield ‘Argent a cross between four crosses pattée Sable.’ To the name ‘Darcy’ above the arms was added in what appears to have been a later hand the words ‘of Galway.’[xiii] This would imply that later heralds were of the view that these arms and not those of Platten were more properly the arms of those Darcys who came to be established in the town of Galway in the fifteenth century. 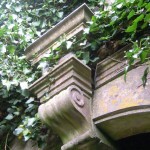 The arms of Darcy as shown in G.O. Ms. 82, dating from the early eighteenth century, with their identification with Galway added by a later hand. © National Library of Ireland. That the arms of the four crosses pattée were more properly those of a family established in the west of Ireland rather than elsewhere is suggested by the third arms given in G.O. Ms. 82. The third heraldic coat of arms of a family of the name Darcy was given as a quartered shield, the first quarter of which was comprised ‘Argent four crosses pattée between a cross Sable.’ [xiv] While the third quarter is unidentified and the four may have been a branch of the Blake or Cadell family, the second quarter was that of the O Durcan family of County Mayo, reinforcing the connection of this particular quartered coat with the west of Ireland. The untricked crest in this case was shown as an arm embowed in mail grasping a spear point downward. The arms of Darcy ‘of Plattin’ alongside the quartered arms simply given as that of Darcy as shown in G.O. Ms. 82. © National Library of Ireland. The armorial margin surrounding the seventeenth century Pictorial Map of the Town of Galway displayed arms of various armigers associated with the town and the surrounding region. 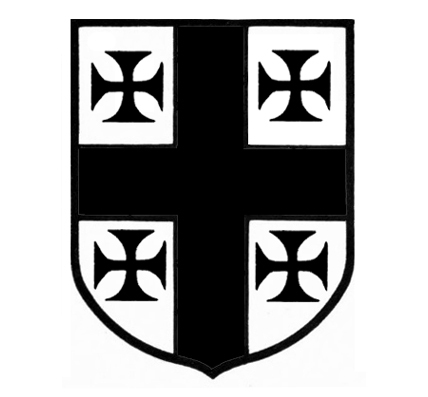 The arms associated with D’Arcy of Platten did not appear but the arms of ‘Dorsie’ was given, shown as a shield with a cross between four crosses couped and with an associated crest of a simple cross. The arms given as those of ‘Dorsie’ given on the armorial margin of the seventeenth century Pictorial Map of the town of Galway, corresponding closely to those shown in G.O. Mss. 60 and 82. © James Hardiman Library, NUI, Galway. The additions to which Sadleir made reference appear to have been inserted for the most part from about the early decades of the eighteenth century, with a small number from the early nineteenth century which would post-date Carney or Hawkins. The manuscript gives the blazon of the arms of ‘Darsie of Gallway’ as identical to that to which appears on the Pictorial Map of Galway and further gives the tinctures as ‘Or a cross between four crosses Sable, with a crest of a cross Sable.’ However, this blazon was inserted at the end of those appearing under the letter ‘D’ and was by a later hand than that which wrote the main body of the manuscript. It appears to have been written in the early eighteenth century and, as such, it may have been assumed from Sadleir’s note to relate to a grant of arms by Carney or Hawkins. Such a grant would relate to a grant made anytime from the mid seventeenth century to the mid eighteenth century as the date of the armorial margin on the map is disputed. However, it should be noted that a number of later insertions in G.O. Ms. 62 made by the same hand that wrote that of ‘Darsie of Gallway’ included a number of families such as Blake, Browne, Fallone, and two Deans, all described as ‘of Gallway’ and were identical to the composition of those families’ arms as given on the Pictorial Map of the town. 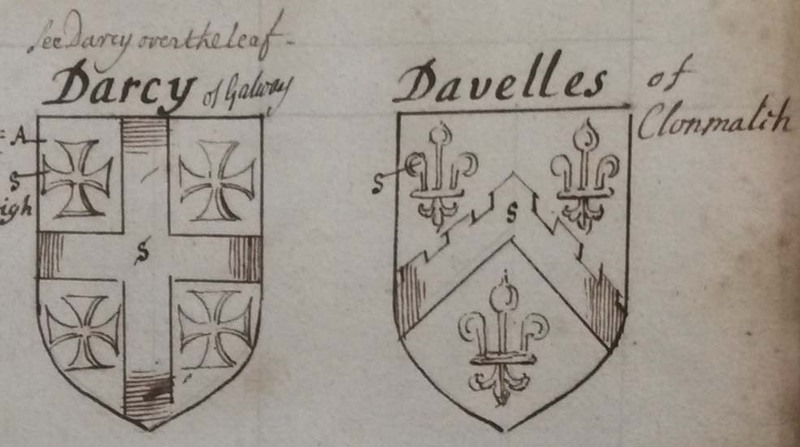 It would appear evident that the writer based those blazons on the arms shown on that particular map rather than from grants of arms by either Carney or Hawkins, given that the names of those families described as ‘of Gallway’ in the manuscript include ‘Morech of Gallway’ and ‘Labarth of Gallway,’ surname forms which are associated with the town primarily from their appearance on that map. From a comparison of handwriting in the former records of Ulster’s office it would appear that the ‘Gallway’ entries in G.O. Ms. 62 were in the hand of William Hawkins, Ulster King of Arms from 1698 to 1722 or in a similar hand. [xvi] In either case, the appearance on the town map of the arms bearing the crosses couped further confirm that the arms bearing the cross between crosses pattee or couped were the correct arms borne by the family of Galway and Kiltullagh and not that of Platten later acquired by virtue of Hawkins Ulster’s 1752 pedigree. The blazon of the arms of ‘Darsie of Gallway’ entered by a later hand at the end of the main body of entries made under the letter ‘D’ in G.O. Ms. 62. © National Library of Ireland. The shield and crest of ‘Darsie of Gallway’ after those blazoned in G.O. Ms. 62, corresponding closely with those given on the Pictorial Map of the Town of Galway. No motto was given in either source. From these seventeenth and eighteenth century records it would appear clear that the arms attributed to the Darcys of Kiltullagh and Clifden Castle should more properly have been those bearing the cross between the crosses couped or pattée. However, the arms associated with D’Arcy of Platten, although improperly attributed, came to be officially recognised by Hawkins Ulster and so Burke in his ‘Genealogical and Heraldic history of the Commoners of Great Britain and Ireland’ was correct to the extent that these were the arms which had then come to be officially recognised as borne by the Kiltullagh and Clifden family. 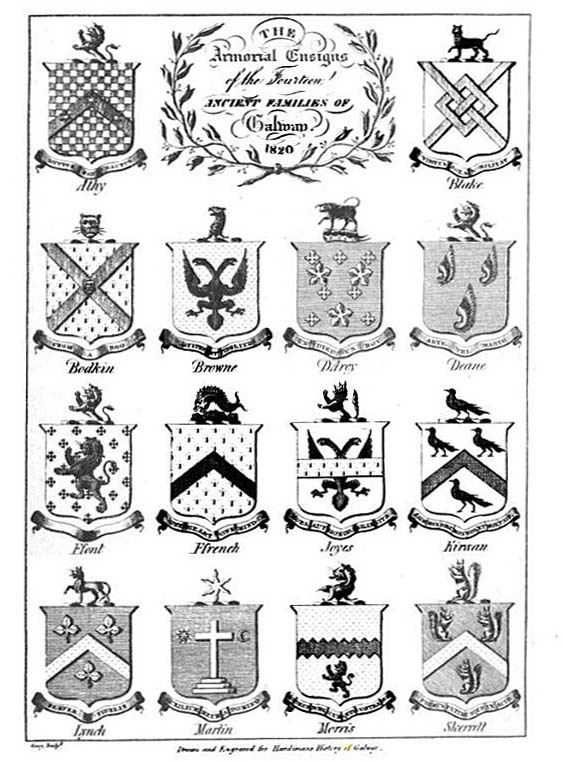 It would appear to be likely that the 1752 pedigree led subsequent publications to attribute the arms of D’Arcy of Platten to the Galway Darcys when blazoning or exemplifying the arms associated of those families known as ‘The Tribes of Galway.’ James Hardiman in his 1820 publication ‘History of the Town and County of the Town of Galway’ repeated the Anglo-Norman origin of the Darcys of Galway, apparently based indirectly on the mid eighteenth century pedigree. An often-reproduced engraved plate from that work provided a representation of the arms of ‘the fourteen ancient families of Galway’ and gave the arms of Darcy as that of Platten. The arms given by James Hardiman in 1820 as those associated with ‘the fourteen ancient families of Galway,’ showing the arms of Darcy of Galway as identical to those associated with the family of Platten rather than those borne by members of the family in the seventeenth or early eighteenth century. 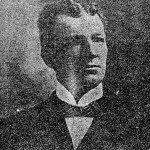 While Dr. Edward MacLysaght, first Chief Herald of Ireland, in his 1957 publication ‘Irish Families, Their Names, Arms and Origins’ made reference to the Darcys ‘who became one of the Tribes of Galway’ as ‘of true Irish stock, being descended from the O’Dorceys of Partry, County Mayo,’ the arms he gave as those of Darcy of Galway in that same publication was ‘Azure semée of crosses crosslet and three cinque-foils Argent’ with a crest ‘on a chapeau Gules turned up Ermine a bull Sable armed Or.’[xvii] While Dr. MacLysaght’s theory regarding ‘sept arms,’ expounded upon in the introduction of this work, became the subject of considerable controversy and was refuted by his successors in that office, his attribution of the arms of Platten to that of Darcy of Galway in all likelihood contributed in no small part to the continuing misapplication of these arms as the ‘great arms’ of those descended of the Darcys of Galway. 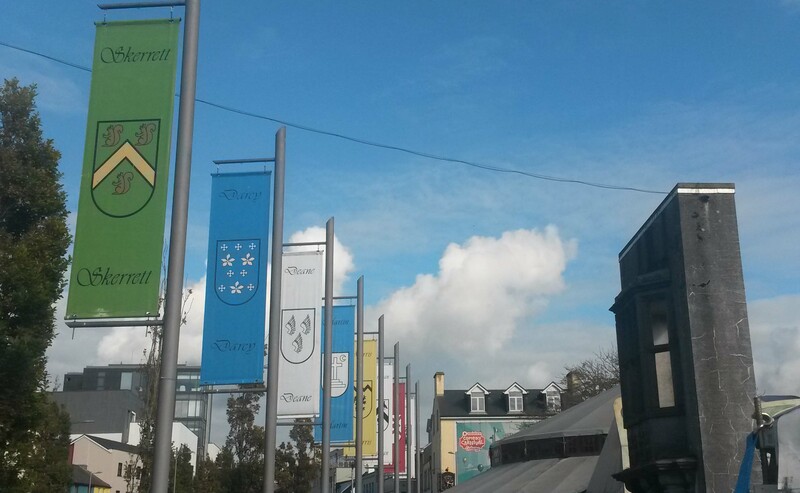 Banners carrying representations of the heraldic shields of the families of the fourteen ‘Tribes of Galway’ at Eyre Square in Galway City in 2015 showing the arms of Darcy carrying the crosses crosslet and cinquefoils of Platten. [i] Burke, J., A Genealogical and Heraldic history of the Commoners of Great Britain and Ireland, London, Henry Colburn, 1836, Vol. III, p. 142-146. [ii] NLI, Dublin G.O. Ms. 66, Funeral Entries, Vol. 3, 1604-1622, p. 17. [iii] MacFirbis, D., The Genealogies, Tribes and Customs of Hy-Fiachrach, commonly called O’Dowda’s Country (ed. By J. O Donovan), Dublin, Irish Archaeological Society, 1844, pp.47-50. [iv] MacFirbis, D., The Genealogies, Tribes and Customs of Hy-Fiachrach, commonly called O’Dowda’s Country (ed. By J. O Donovan), Dublin, Irish Archaeological Society, 1844, pp.47-50. [v] MacFirbis, D., The Genealogies, Tribes and Customs of Hy-Fiachrach, commonly called O’Dowda’s Country (ed. By J. O Donovan), Dublin, Irish Archaeological Society, 1844, pp.47-50. [vi] Hardiman, J., The History of the Town and County of the Town of Galway, Dublin, W. Folds & sons, 1820, p. 105. [vii] Blake, M.J., Blake Family Records 1600-1700, 2nd Series, London, Elliot Stock, 1905, pp. 234-6; MacFirbis, D., The Genealogies, Tribes and Customs of Hy-Fiachrach, commonly called O’Dowda’s Country (ed. By J. O Donovan), Dublin, Irish Archaeological Society, 1844, pp.47-50. [viii] MacFirbis, D., The Genealogies, Tribes and Customs of Hy-Fiachrach, commonly called O’Dowda’s Country (ed. By J. O Donovan), Dublin, Irish Archaeological Society, 1844, pp.47-50. [ix] Burke, J., A Genealogical and Heraldic history of the Commoners of Great Britain and Ireland, London, Henry Colburn, 1836, Vol. III, p. 142-146. 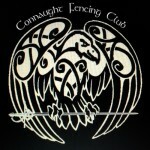 [x] NLI, Dublin, G.O. Ms. 162, pp. 66-9. [xi] Lart, C.E., The pedigrees and papers of James Terry, Athlone Herald, at the Court of James II in France (1690 – 1725), William Pollard & Co., Exeter, 1938. Darcy. [xii] MacFirbis, D., The Genealogies, Tribes, and Customs of Hy-Fiachrach, commonly called O’Dowda’s Country (ed. By J. O Donovan), Dublin, Irish Archaeological Society, 1844, pp.47-50. 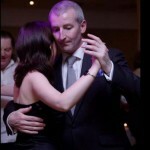 [xiii] NLI, Dublin, G.O. Ms. 82, Arms A, p. 49. [xiv] NLI, Dublin, G.O. Ms. 60, Carney, Sketches of Arms, pp. 60, 87. [xv] NLI, Dublin, G.O. Ms. 60, Carney, Sketches of Arms, pp. 60, 87. [xvi] NLI, Dublin, G.O. Ms. 60, Carney, Sketches of Arms. Some of the names such as ‘Fallone of Gallway’ appear both on the map and in G.O. Ms. 60 but not among the modern list of fourteen ‘ancient families’ or ‘Tribes’ of Galway. In addition, the blazon given in G.O. Ms. 60 for the arms of Blake, with a crest ‘on a tower Argent a frett Gules,’ matches that of the Pictorial Map but does not appear in any other contemporary surviving source as a crest associated with a Blake armiger. Similarly the only two arms given for armigers of the name ‘Dean of Gallway’ in the manuscript appear to match the only two arms given as those of the name Dean on the seventeenth century Pictorial Map; NLI, Dublin, G.O. Ms. 84, Draft Grants, c. 1580-1690, pp. 34, 54. A comparison of the entries relating to families described as ‘of Gallway’ in G.O. Ms. 62 with entries written by William Hawkins Ulster King of Arms in 1708 and 1715 in G.O. Ms. 84 and G.O. Ms. 87 would suggest that the handwriting of the ‘Gallway’ entries in G.O. Ms. 62 was in the hand of the same William Hawkins Ulster King of Arms who served in that office from 1698 to 1722 or in a similar hand. [xvii] MacLysaght, E., Irish Families, Their Names, Arms and Origins, Fourth Edition, Dublin, Irish Academic Press, 1985, pp. 70,71, 165, 213, Plate VII.